Lately, I have lack of interest in the new releases or ongoing TV series. Not just Western TV series, even I have not able to find any Asian TV Series that really grab my attention. In result, I ended up re-watch one of my all-time favorite series – Sherlock. Last week, I found one British mini-series out of random on Netflix, it called The Bletchley Circle. These TV series pop up as a recommendation since I have watched Sherlock. I accidentally playing it when my original intention was just to check the synopsis. Then, this British mini-series about a group of code-breaker whose solved a murder case successfully get me hooked and I have completed all two seasons of this mini-series in one day. 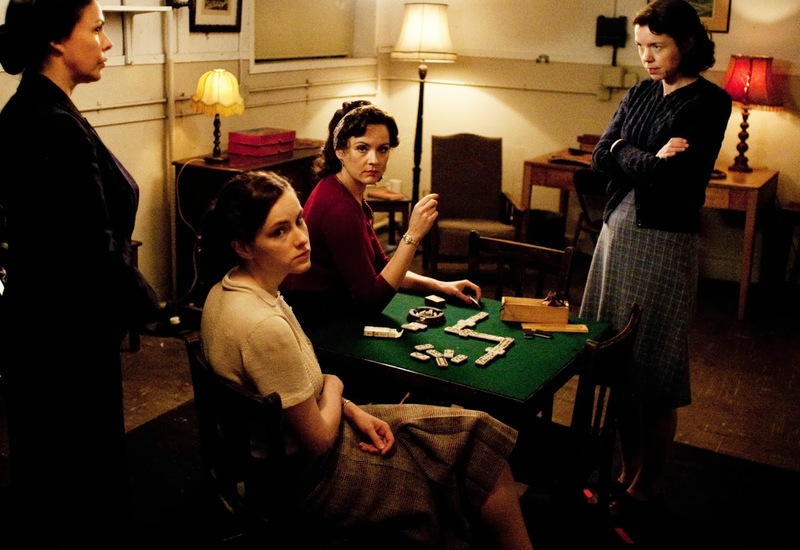 The Bletchley Circle tells the story of four women – Susan, Millie, Lucy, and Jean, who was part of a decipher team for British Military at Bletchley Park during World War II. These women successfully cracked the German military codes that help British to prevent Germany’s military attack. After the war ended, these women continue their life as the ordinary woman in London. Until one day in 1952 - seven years after the war ended, they reunited again when Susan’s recognize the pattern of an unsolved serial murder in London that could help to find the killer. This mystery drama mini-series aired from 6 September 2012 until 27 January 2014 with total seven episodes in two seasons. In the U.K, the three episodes of the first season aired in September 2012, while the second seasons with four episodes in total aired in January 2014. Susan Gray – played by Anna Maxwell Martin, was one of the code-breaker team who has an extraordinary talent in recognizing a pattern. She was the one who found hidden German’s Military Mission which made British one step ahead to realize Germany’s military plan. After the war, Susan continues her life as a housewife. Although she has a nice normal life with her beloved husband (Timothy Gray played by Mark Dexter) and their two kids, she still can’t leave her old habit as code-breaker at Bletchley Park. One day, she is listening to a news report on BBC Radio about a new girl that was missing. Since it has happened for the fifth time, it just shocks her because she notices the pattern of a serial murder. However, her attempt to report to the authority failed because they can’t find any sign of the missing girl in the location that she was pointed out. Due to her confidence that the missing girl case not just an ordinary crime, Susan visit her old colleges to help prove her theory. 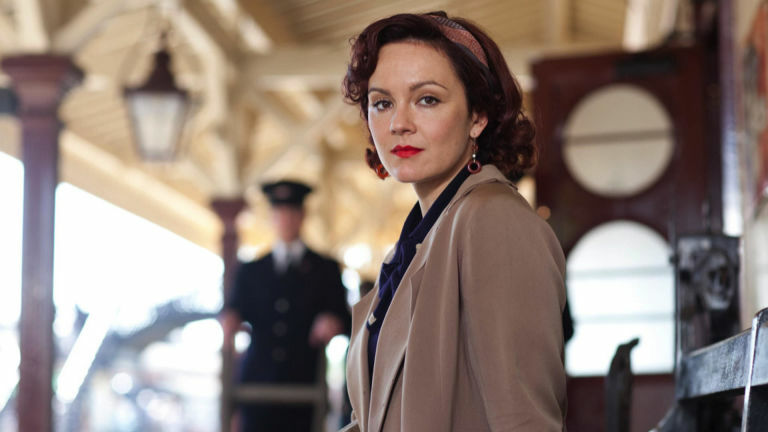 Millie (Rachael Stirling) is the one whom Susan ask for help. Although they were a best friend at Bletchley Park, their friendship has drifted apart after the war's ended due to Susan's decision to pursue a conventional lifestyle and bailed from their plan to traveling together. In the beginning, Susan’s intention to contact Millie just to get second eyes with her theory. However, Millie quite sure that Susan does not make mistake with her pattern. 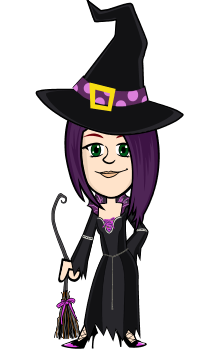 Millie strongly believes that the missing part of Susan's calculation is due to the data that she is working with. Since what they both need complete data and information from a valid source, then Millie suggest getting help from their other colleges at Bletchley Park, Lucy (Sophie Rundle) and Jean (Julie Graham). They need Jean’s good relationship and connection with important people to get all of the data about the missing girl included the one that not shared to public and Lucy’s eidetic memory to remember all those data. Although the characters in this series are fictional, the background story is based on real event. Bletchley Park was Britain code-breaking center in World War II and it was an academy that housed the Government Code and Cypher School (GC&SC). This series picture about how the four main characters using their knowledge and methods which they had used when they were dealing with German Enigma and Lorenz Cypher. But now, it is not to decipher a military code, but to solve a serial murder. We are shown how this woman applied their skill in mathematics and statistics into something more intangible such as someone action and decision. Set in 1952-1953, The Bletchley Circle will bring you back to witness the beauty of old time. The production team successfully visualize the historical atmosphere through the cinematography. The historical vibe is vivid start from the fashion, the environment, as well as the culture. As expected from the nature of this era, gender equality obviously still the main issue. 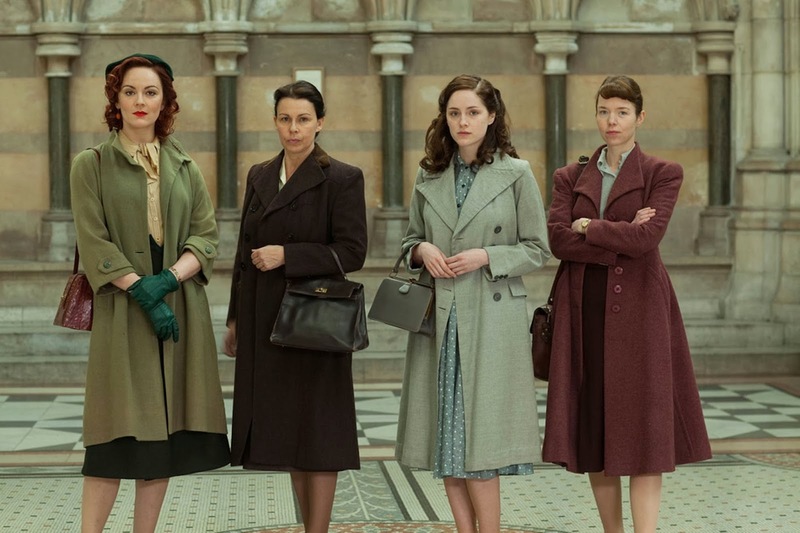 How the society looking down to woman is represent from each of characters’ personal life after they completed their duties at Bletchley Park. Susan already considers that all of them destined to have an ordinary life once they back to the society and she end up being a typical housewife despite his extraordinary skills. Millie turned out to be a waiter in a restaurant where the owner tends to sexually abuse his woman employee because he believes it’s not easy for them to find a job. While Jean continue her life as an ordinary librarian and Lucy is married to an abusive husband who treats her like a servant. However, these woman reunion to solve a murder case able to stress the important point that woman can also have “the brain” like the man and even sometimes they can do things above and beyond of what a man can do. My overall rating for both seasons of this series is 9.5 out of 10. The only reason it is failed to get the full 10 because of the second season. The first season amazed me but the second season failed to give the equal impact. In the first season, we are told about how these women are using their skills and techniques as code-breaker to solve the mystery. Watching them treat the simple activities as a series of number and code is mesmerizing. However, the second season is more focus on solving the cases instead of highlighting the methods that they are using to find the answer. But, despite that little issue, I really recommend this series. Unfortunately, this popular mini-series not able to make its comeback for the third season. However, U.S. streaming service BritBox, already announced that the spin-off series called The Bletchley Circle: San Francisco will be released this year. The spin-off series will be released with two original characters Millie and Jean where these women visit the United State in 1956 to help the U.S code-breaker solving a murder case. @lisasc which one? Any recommendations for her other movie/tv show? I recognize at least 1 of these actresses. I'm definitely watching this! Thanks for sharing!